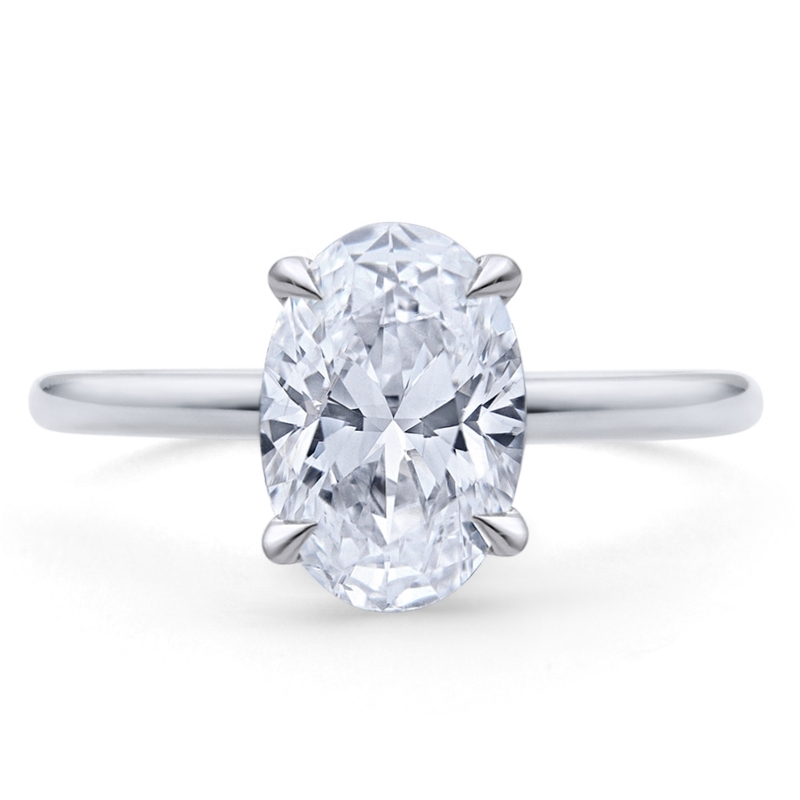 Oval brilliant diamond set in a contemporary solitaire, handcrafted in platinum. This design features a flush set band with a narrow rounded comfort fit shank. 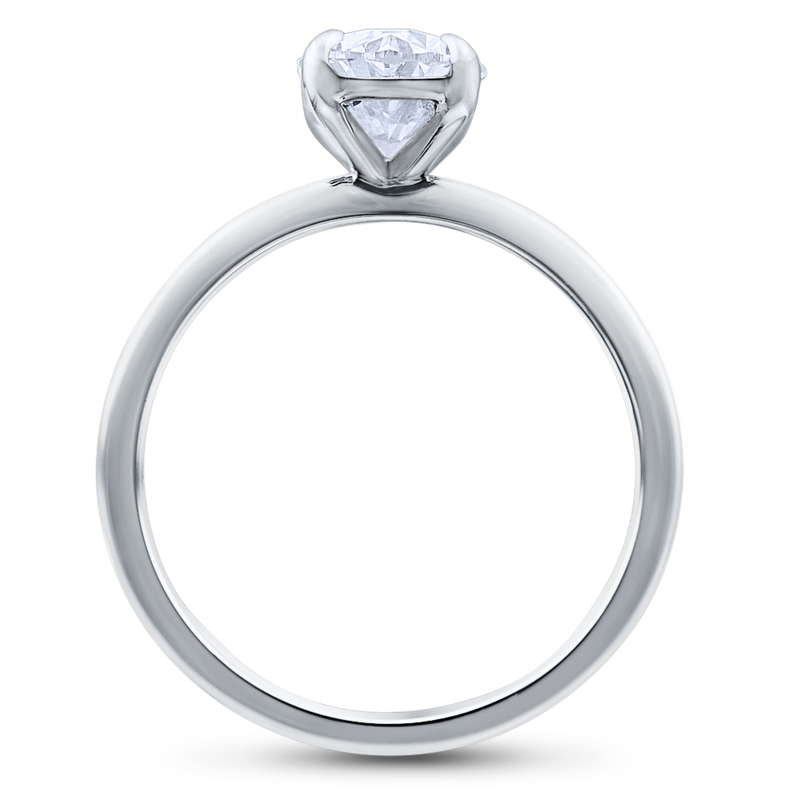 This solitaire has delicate tiger claw prongs holding the center diamond in place.